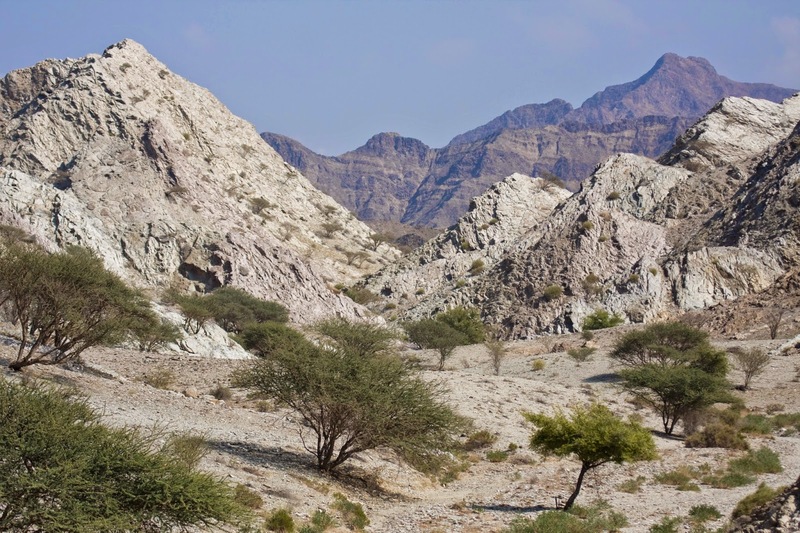 Just a short drive away from Dibba harbour, well, relatively short anyway, in the mountain range lies the nice Wadi called Masafi Wadi. According to Mark, this is not the original Masafi wadi, which was more or less destroyed when building a road, but a close by wadi. Nevertheless, a beautiful place. For those who have read about my visit to Wadi Bih, it comes as no surprise that I'm a real fan of mountains and this was no exception. However, this time it was somewhat ruined by the fact that during our visit, a couple of guys with their big 4wd-car drove through the wadi and made noice. You would also expect a place like this to be free from litter but... sadly no. The beautiful view of Masafi wadi, which met us at the arrival. Interesting place with these small trees and bushes, which held an unexpected (for me) number of birds of quite a few species. We started with a quick lunch, perfectly arranged by Mark, with the company of a female Variable Wheatear (orientstenskvätta, Oenanthe picata). The Variable Wheatear is a relatively shy bird (compared with Hume's for example) and I couldn't get any decent pictures. This bird was flying in the area where we parked the car. 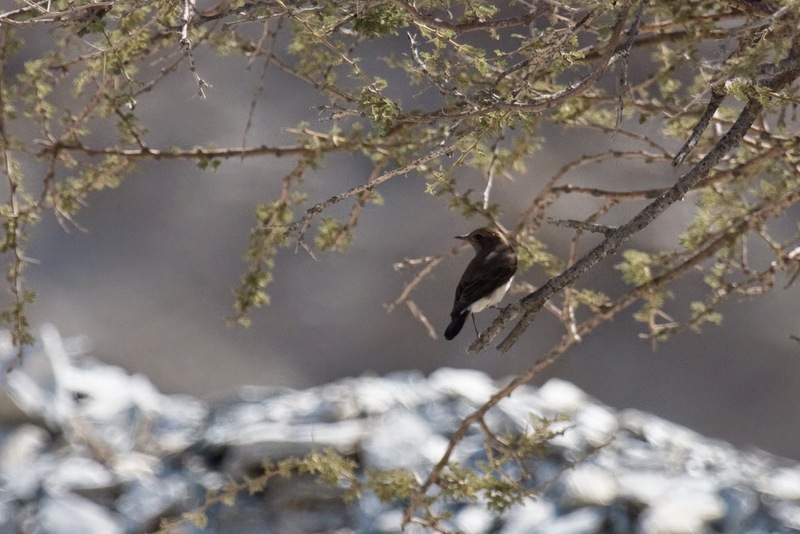 Already hear, we could hear that there were birds in the wadi. I was really expectant as to which we would find. We started walking, the main target specied were the Plain Leaf-Warbler (dvärgsångare, Phylloscopus neglectus), Scrub Warbler (snårsångare, Scotocerca inquieta), Desert Lark (stenökenlärka, Ammomanes deserti) and Desert Lesser Whitethroat (ökenärtsångare, Sylvia minula). Well, the first one on the list showed itself quite early on. I managed to mistake it for Chifchaf (or rather, I did mistake a Chifchaf for Plain) until I got the hang of it. 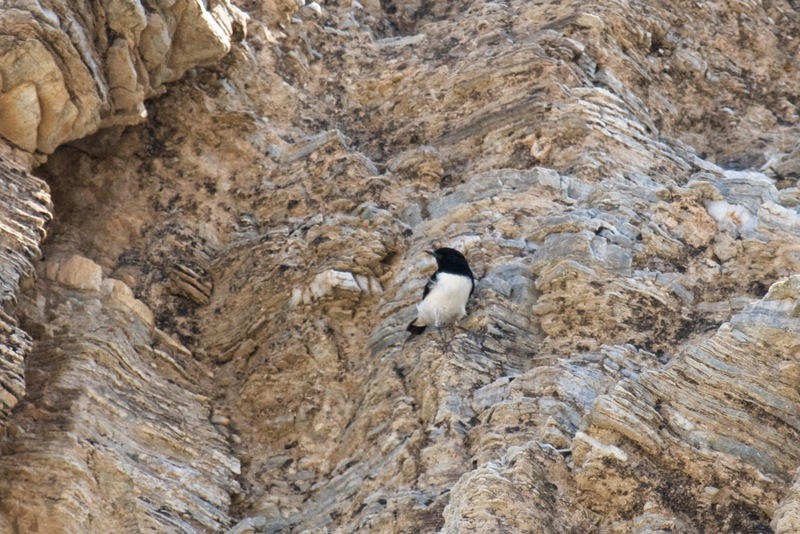 At least three individuals could be found. Nice! Very small birds and not really out in the open much but neat nontheless. 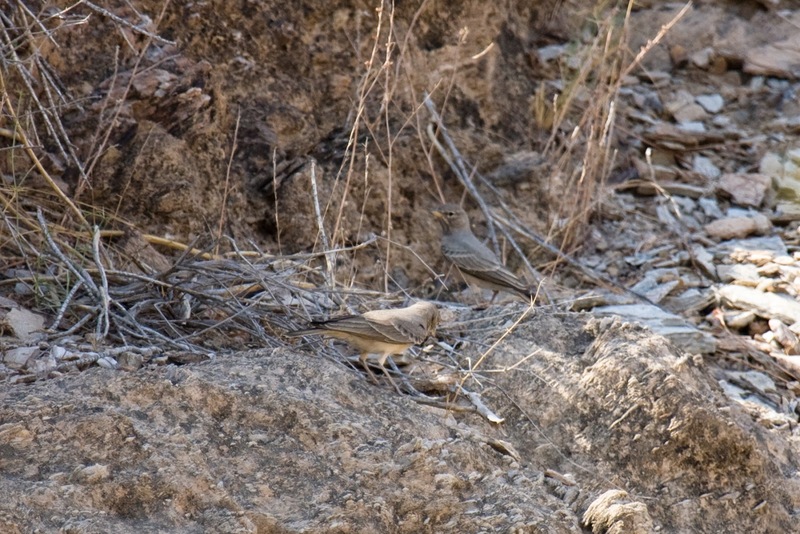 So we continued down the wadi and suddenly a couple of birds were flushed by us. These were easily identified as grouses but which kind? No problem for Mark, he readily identified them as Lichtenstein's Sandgrouse (strimmig flyghöna, Pterocles lichtensteinii) but for me it was not that easy. I kept the mental image of the birds until I could confirm for my self by looking in the book. An unexpected and really nice experience. I never saw any of the birds with this pattern a couple of years back, when we had an influx in Sweden. 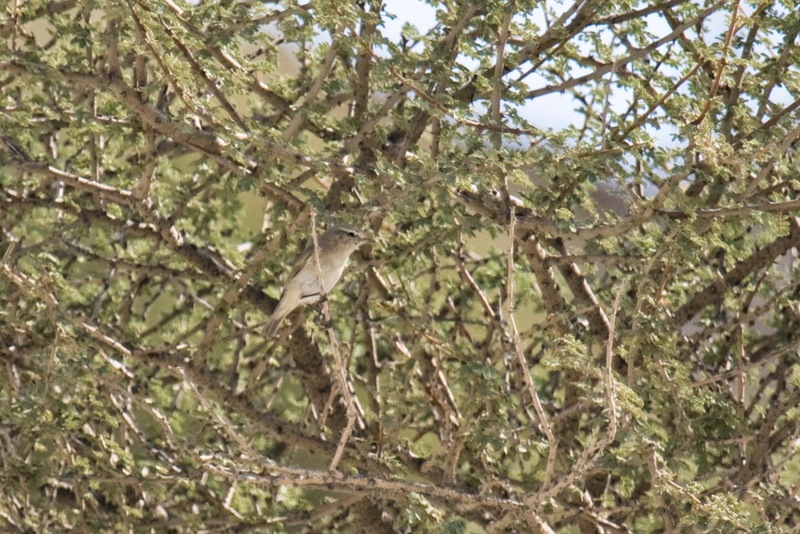 The Desert Lesser Whitethroat evaded us... We could hear more than one, but I really don't like to count a lifer like a Whitethroat on call only. 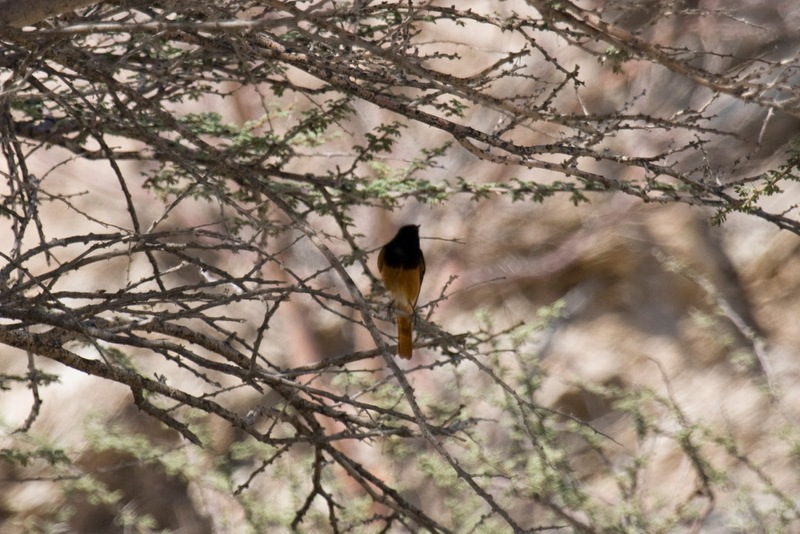 Actually, we didn't see this bird throughout the hike in Masafi wadi but I knew that there would be another chance the next day at Green Mubazzarah. Male Variable Wheatear (orientstenskvätta, Oenanthe picata) with a Hume's Wheatear (svartvit stenskvätta, Oenanthe alboniger) close by gave a good oportunity to try and tell them apart. 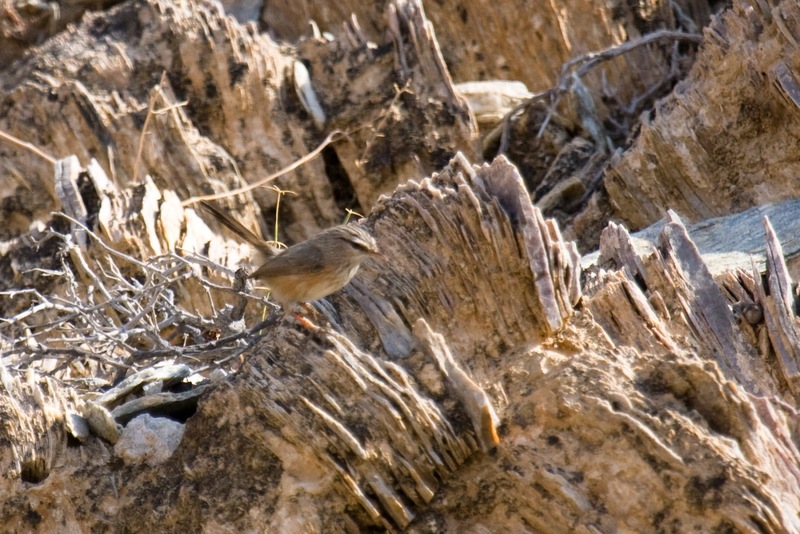 As we walked back upp the wade, we finally had some decent sightings of the Scrub Warbler (snårsångare, Scotocerca inquieta) and the Desert Lark (stenökenlärka, Ammomanes deserti). We had heard them before but did not really see them. After these birds we walked back to the car and drove on to Fujairah Beach, in the hope to finding som nice shorebirds and Sooty gull. But more on that in the next blog post. Typical pose of the Scrub Warbler (snårsångare, Scotocerca inquieta) with tail pointing up, much like a Wren. 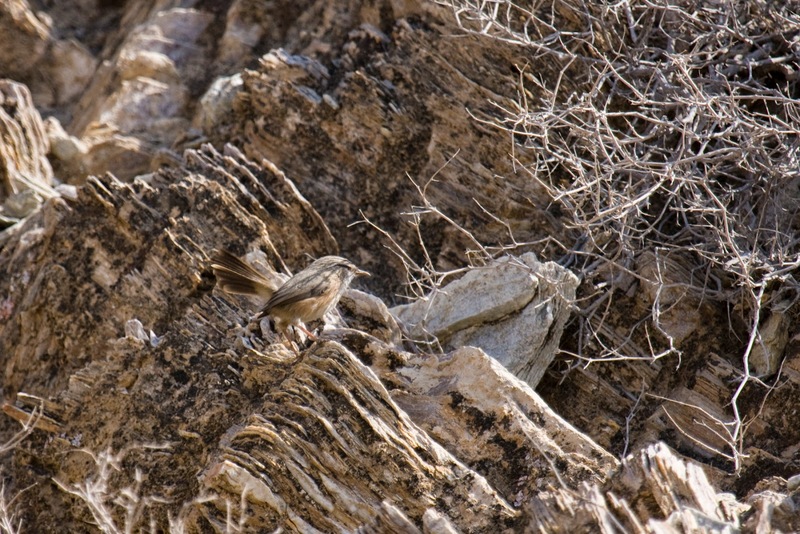 The Desert Larks (stenökenlärka, Ammomanes deserti) where accompanied by a Striolated Bunting (bergsparv, Emberiza striolata), a species which I had seen in Wadi Bih the former year. Another species which we saw on the way back was another Long-billed Pipit (långnäbbad piplärka, Anthus similis), but see my post on Wamm Farms for photos on these Pipits.